If chatbots are on your customer service agenda, this free 8-page white paper is an essential resource. It cuts through the market hype with practical, savvy tips for selecting and implementing the right platform, including 12 of the most important questions to ask potential vendors. The first tip centres on the forgotten use case for chatbots in your contact centre – that is, for contact centre agents rather than customer use. 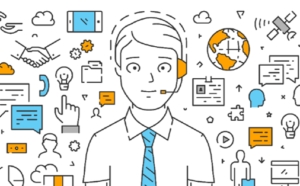 There are multiple advantages to starting with this approach – first of all, it allows for internal testing before rolling out to external customers, secondly, it means the agents are not only providing service to customers, but they are training the chatbot at the same time; thirdly, it means staff without much training can jump into customer service to assist with peaks, with the chatbot quickly guiding them to answers to present to customers. And finally, the agents like the fact that they can access information faster and provide more consistent, accurate service to customers – so they can focus on the customer relationship rather than the pressure of retaining information or finding it in disparate systems. The other 3 tips in the white paper are equally as powerful. Download now.